Planning a wedding can be very stressful and time consuming so we aim to ease this by offering the following additional services. Club Langley incorporating Designer Bows – Elaine is our friendly room decorator. Her crisp linen table cloths cost from £8 each, this includes your buffet tables, 5ft round dining tables, top table and cake/post box/gift tables. Elaine has a choice of cloth colours. For the more adventurous Elaine even has sparkly sequined cloths! They will be put on by Elaine and ironed or steamed into place. For £3 per chair Elaine provides covers with bows in a wide range of colours in either satin, organza, taffeta, lace or hessian. She also has table runners, bay trees, balloons, starlight backdrops, vase hire, carpet runners with rose petals, table swags, birdcages, giant candelabras plus lots lots more. Elaine is available to do all your room decorating. Her prices are very competitive and budget friendly so why go anywhere else? She can be found on Facebook. See link to her website opposite, email her on elaineoake@btinternet.com or call 07833 099646. She can transform a room make large letters in your initials and just about anything else you desire! 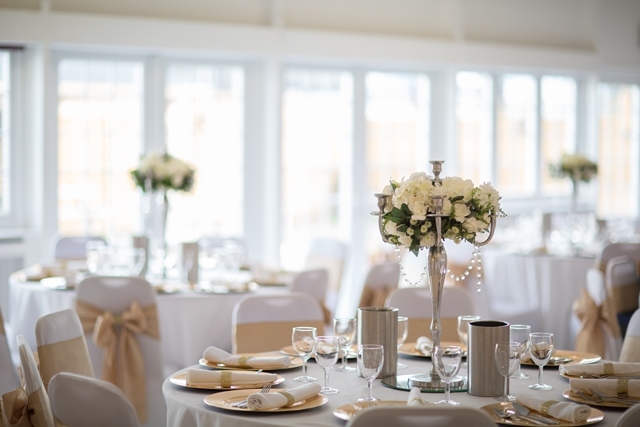 At Club Langley our policy is that chair covers/bows and table linen are provided by Elaine at Designer Bows ONLY. You are very welcome to use other decorators or your choice for everything else. You can bring in your own disposable paper or plastic table cloths if you prefer. 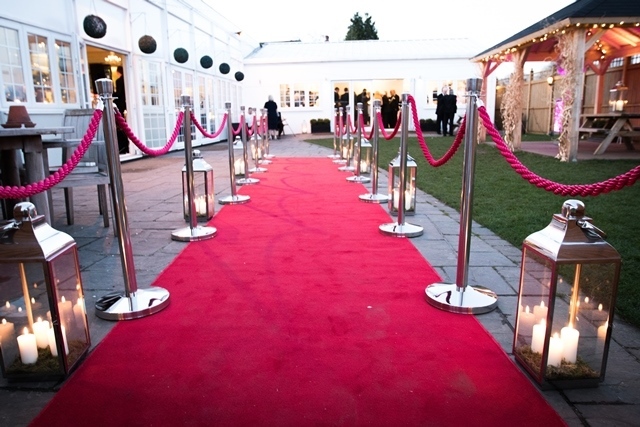 Photos: Red carpet entrance by Daniel Lay Event Services. Room decorations by Elaine at Designer Bows. Daniel Lay Event Services offers a professional party and wedding hire service for your event. Daniel and the team offer services including DJ packages, up-lighting and sound hire, VIP carpet entrances, light up numbers, letters and more. We have worked with Daniel for several years and our clients always receive a fantastic service for any occasion. Daniel offers affordable pricing with high quality products and services. Package pricing is also available when you book multiple services at Club Langley. Yummy Cake Company – Beautiful bespoke celebration cakes. From a consultation in their state of the art studio, Yummy Cake’s designers will sit with you and create your exclusive and memorable celebration cake. 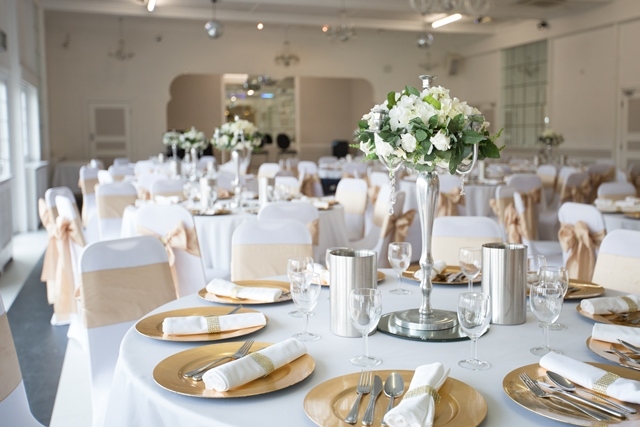 A 5% discount on cakes is available when you have booked your event at Club Langley. 0208 295 4092 cakes@yummycakecompany.co.uk, Joanna at The Studio, 55 Chislehurst Road, Chislehurst, Kent, BR7 5NP. By appointment only. Having watched Andy in action at various weddings, and seen his amazing videos, he is sure to bring capture your wedding day in style. A video is something you will treasure for years to come. The above suppliers are recommendations only. They are in no way connected or associated with Club Langley.